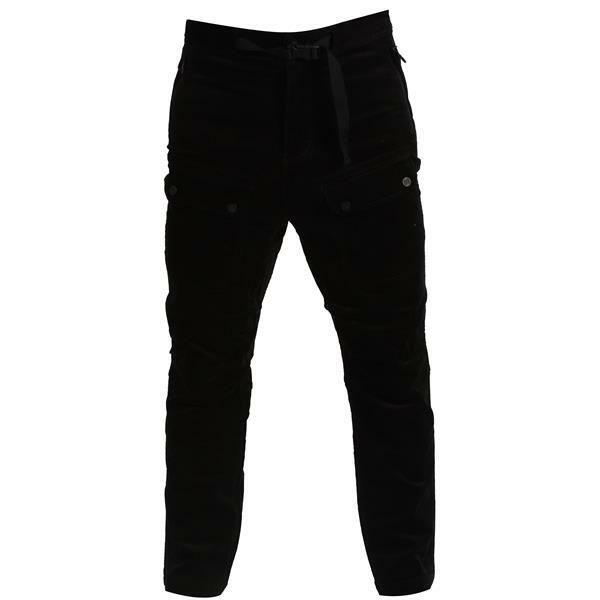 Never leave the slopes with the Thirteen Verville Snowboard Pants from Burton. These men's snowboard pants feature a sleek design in black with a regular fit, giving you a look that's cool, calm and collected. Carefully crafted using a durable cotton corduroy blend, these men's winter pants are designed to withstand wear and tear while you tear it up on the slopes. DWR waterproofing and fabric breathability ensure that unwanted moisture stays out and rising body heat can escape. As the day wears on, vents allow you to release heat and moisture. Side-zip and front-button pockets provide all the space you need for your phone, keys, wallet and more. Perfect for snowboarding, skiing or going for a winter hike, these men's snowboard pants are a great choice for any winter endeavors.